And then there's Nell, the top model headlining Felicity's show. Nell is planning her dream wedding to her wonderful fiancé with one catch: her divorced parents can't stand each other and threaten to no-show if the other is there. I really like the idea behind this book, and if I were to tell someone the storylines, I think they would agree. It certainly does a great job of explaining what St Moritz is like and the style of food, the shops, the visitors, and of course, the skiing. But I found that the devices used to tell the story were a bit clunky, and it lacked the seamlessness that makes such time shifting effective. Three couples' stories are interwoven into the text, and whilst there were some comparisons to be made, there felt like a strong lack of love in one, one was post-divorce, and the last we mainly only hear about rather than see. So, there was a lack of romance and more a talking about what it was or wasn't. It is difficult to explain what was missing. The build up to the fashion show, the outings to increase interest, and the shifting of the truth by the reporters (or was it?) was very interesting and gave the reader an idea of how a successful campaign may really work. It also gave an indication of how normal issues still affect beautiful people. The solution to Nell's dilemma was fun, and that reveal, even of just the idea, was done really well. So, a sweet set of stories in a story that I enjoyed reading, but could have been really good after some judicious editing. 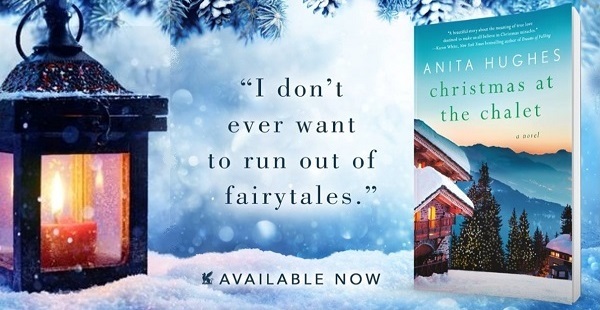 ANITA HUGHES is also the author of Christmas in London, Christmas in Paris, Emerald Coast, White Sand, Blue Sea, Santorini Sunsets, Island in the Sea, Rome in Love, French Coast, Lake Como, Market Street, and Monarch Beach. She attended UC Berkeley’s Masters in Creative Writing Program, and lives in Dana Point, California, where she is at work on her next novel. 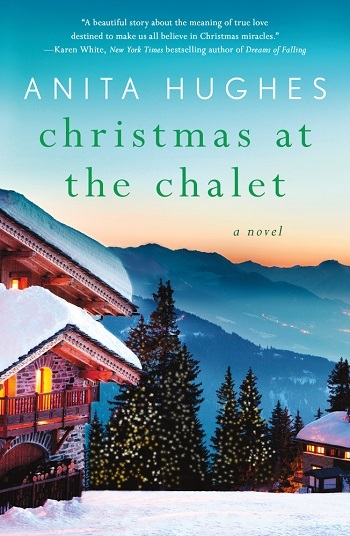 Reviewers on the Wicked Reads Review Team were provided a free copy of Christmas at the Chalet by Anita Hughes to read and review.